It’s not often that you find fashion that’s elegant, contemporary and lets you wear your mood on your sleeve. Chokhi.Chorri’s doing just that. NIFT graduate Ankita Agarwal’s fashion line Chokhi.Chorri is winning our hearts like a bawse. Simple, smart, comfortable and elegant, Chokhi.Chorri’s fashion is not the sort that’s will make you cringe about your body or about the other person's gaze. In fact, we're wearing these to show the finger to shamers and critics. Classy and urban, this label's anti-fits will let you be the fashion rebel and make your style statement bold and loud. Chokhi.Chorri collection include tunics, kurtas, shirts, dresses, tops, bottoms and scarves and are suitable for Indian weather. Earthy tones soft to the eyes like foppish green, rust brown, peach, mustard and off whites dominate her line. The designs are inspired by traditional Indian crafts, old embroidery and pattern techniques, but Ankita’s fashion line is contemporary in look and subtle in taste. 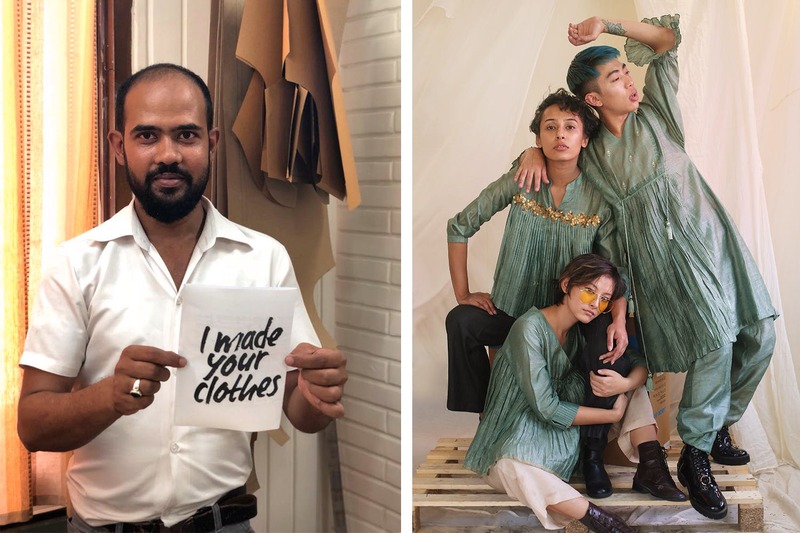 A new-age conscious label, Chokhi.Chorri's collection is entirely built around sustainable fashion with fabrics like khadi, ahimsa silk, voile and linen. Interestingly, Ankita and her team of eight artisans also upcycle surplus fabrics and threads by making scarves and decorative tassels out of them. Another thing that got us completely hearting the label is their stress on giving credit to their artisans. A fabulous collection for everyone to love, the steep price can make you hesitate. Chokhi.Chorri's collection starts at INR 5,000. The fluid genderless styles of Chokhi.Chorri is something that we can't stop loving. With the label calling themselves as making #beyou fashion. you can legit wear your style on your sleeves with their fashion.